Foreign investors seeking to open companies in Seychelles will be subject to both advantages and restrictions which can be entirely explained by our local consultants. Foreign entrepreneurs who want to open companies in Seychelles will benefit from the same requirements as local business people, which is why starting a business in this country as a foreigner is so appealing. Having an appreciated taxation system and concentrating on how businesses should be registered as private as possible, Seychelles is the insular state where foreigners can easily set up their offshore companies. The registration process of an offshore in Seychelles is simple and can be guided by our team of specialists in company incorporation in Seychelles. - investment funds can also be registered by foreigners who come to Seychelles. 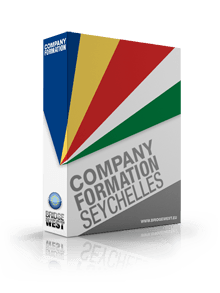 Our company formation specialists in Seychelles can offer detailed information about all the types of companies foreign entrepreneurs can register here. When setting up a business as a foreigner in Seychelles, there are a few aspects to consider. The first and most important one is related to having a registered agent who handles the incorporation procedure with one of the authorities in charge of accepting and issuing the Certificate of Registration for local companies. The foreign investors must also choose a local legal address and appoint a resident director for the Seychelles company. We also mention that there are no share capital requirements related to opening a company in Seychelles as a foreigner. Once these formalities are completed, the company registration procedure can start. It takes around 6 weeks to open a company as a foreigner in Seychelles, considering all the formalities which need to be completed. From the beginning, we mention that Seychelles is considered a tax haven and an important player on the market from this point of view, as numerous business persons decide to protect their assets in this manner, by creating offshore companies. The registration process of a company in Seychelles is made under complete confidentiality, as the information about the owner and the directors will not be displayed publicly. The Companies Registrar in Seychelles is the institution in charge of business registration. The process involves only drafting the Articles of Association without having to mention personal details about the ownership. We remind that companies in Seychelles are not subject to the annual financial report, or taxes on profits, which is why foreigners worldwide decide to place their revenues through offshores in Seychelles. If you are interested in opening a company in Seychelles, we suggest you address your questions or concerns about our company formation agents in Seychelles. - the legal address of the company in Seychelles must also be submitted for incorporation (we can assist with virtual office services if you need a legal address). It should be noted that the above-mentioned information can be submitted prior to the preparation of the incorporation documents. Based on them, the Companies Register will issue an identification number and once the Articles of Association are submitted, the company will receive its Certificate of Registration. Also, there are no requirements for the foreign shareholders of the Seychelles company to come here for the Annual General Meeting. When it comes to the taxation of foreign individuals opening companies in Seychelles, they can be subject to taxes in their home countries, in accordance with the double tax treaties signed by their home countries with the insular state. This is because offshore companies are subject to a 0% corporate tax in Seychelles. Seychelles is a very advantageous country to do business in, however, there are also certain restrictions which must be respected by those setting up companies here. These restrictions do not apply only to foreigners, but also to local investors. For example, a Seychelles offshore company cannot issue bearer shares, no matter if its owner is a local or a foreign businessman. Certain restrictions also apply to the trade name of the company. According to the law, certain words, such as government, republic, and Seychelles cannot be used when reserving a company name, while for others special permission is required. The last requirement applies when setting up companies in the financial sector in Seychelles. Other restrictions related to opening an offshore company as a foreigner in Seychelles is related to the not being allowed to trade on the local market and to own property in this country. The offshore company cannot engage in any type of financial activities. The high level of privacy is probably the most interesting and appreciated advantage linked to the offshore company registration in Seychelles. The authorities have also developed a provision which protects companies against assets confiscation or naturalization if it is the case, the courts sustaining the rights of the business. Even if it presents low interest when registering an offshore, a registration fee of about $100 must be considered. Above all benefits, the most significant one is the complete protection of assets which also comes with a tax-free regime and all kinds of financial tools for future developments and investments in a company. For a proper understanding of how you can register a company as a foreigner in Seychelles, please contact us for support.